This presentation by Carolynanha Johnson explores the ways in which she is developing culturally appropriate forms of narrative telephone counselling to assist Aboriginal people to quit smoking. Finding ways in which narrative practices can be used in realms of physical health (as well as mental health) seems highly significant. Thanks Carolynanha for this video! After watching it, please join the online discussion! My message may be arriving a bit late. I have been anxiously looking for the time to seat down and carefully listen to your talk, and I couldn’t wait any longer. I enjoyed very much your talk. While my context of practice is a bit different than the one in South Australia and the Quitline, many things resonated from which I gained new insights that I ought to bring into my practice with a shared concern to “appropriateness” to my local culture. I will share with you only briefly the context from where I am responding. While I am also from a southern country (with much different histories, of course), I live now in North America, specifically in an area with a longstanding–unspoken–history of territorial tensions of colonization. The stories of the ancestors of this land are shrouded in secrecy. This is in the southern area of Texas in the U.S. near the border with Mexico. Your talk on the development of appropriate narrative therapy practices, recognizing the land and cultures from where you practice, resonates greatly. It has been a topic that I have been grappling with for sometime, encountering more questions than answers along the way. And your talk has shed some light on my searches. Like Loretta, I very much appreciate your initiatives to address the histories of colonization and their effects, as well as adopting a holistic view, and give importance to language when talking about smoking. I am glad to have learned about the word Yarning, and the Yarning tools. I took Yarning to be a powerful counter-practice to the colonizing tactics of the cigarette in their lives…having learned about the silencing and isolating effects of colonization, opening a space through the Quitline to tell one’s story turns into a profound act of social justice, don´t you think? I enjoyed very much learning about the stories of support of the Quitline and how it has worked for those with whom you have been working. And appreciate very much your clarification that it has been the aboriginal people who call the line whom have allowed you to learn about their stories. I look forward to future opportunities to learn more about your work. I will be waiting for the next DVD!!! Many thanks for taking the time to share these ideas with us! Better late than never Marcela and I am replying much later. However, I hope the context and conversation remains the same. Thanks for enlightening me to your context of work and the challenges that you have experienced. As I have now been on the Quitline for 4 years, I am starting to realise more and more the need for the conversation of histories of colonisation and its effects to be given space as a way of healing and moving forward, acknowledging the effects, acts of resistance and survival and finally for people to take back control in their lives from the awful smokes. Yarning is a word Aboriginal people love when we are introducing the service, rather than counselling. We have given many Aboriginal people a voice, people who have been silenced through the ongoing effects of colonisation. Stories, stories and more stories come through in a way where Aboriginal people are feeling free to talk about those things that have really stood in the way of them being able to make changes. Thanks for your feedback Marcela. Kia Ora Carolynanha, thank you so very much for sharing your work. As a health worker with Narrative tools as well I particularly liked how you were able to speak to the institutional level of anti smokimg policy and then describe so beautifully how Narrative can so usefully be a material tool in breaking down the silo’s from the personal end up. I particularly liked seeing you become more enlivened when you were speaking to the yarning work and the richness that can come of assisting people to speak to their taonga (treasures), helping individuals and groups to recognize themselves as experts in their own lives. Thanks for that. Its always a beautiful experience to be able to speak in our own tongue because we can add so much depth to our conversations. And people do like being told that they are in the best position with their insider knowledge to be able to make decisions for themselves. Thanks again. I appreciated you naming smoking as a social justice issue related to colonisation. As an Australian of European descent, I am glad you have made me more aware of this. 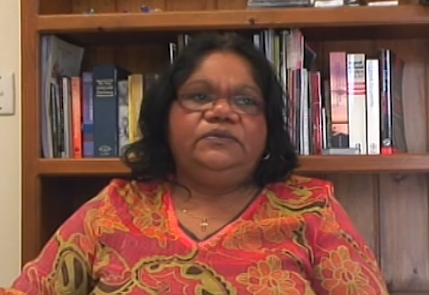 I was moved by the story of the woman who is a member of the stolen generation. Her words ‘the government is not taking any more from me’ were very powerful to me. I see it as a stand for justice. In my local area, smoking is a big issue. I will think more about this as a social justice issue for the people I meet who have experienced trauma, and use smoking as a way of getting through. Some of this trauma has come through abuse in government systems like mental health services, prisons, and children’s homes. Many people in my area are on low income, and have mental health issues. Smoking has a high cost on their health, and takes priority for many people in their grocery budget. Some people smoke ‘bumpers’ (cigarette butts taken off the pavement), and the local cigarette shop illegally sells single smokes under the counter, due to people running out of money. Cigarettes are also a bit of a local currency for loans and favours. When you asked people why they are calling the Quitline, it made me wonder if maybe there is support for family members of those quitting… When my husband quit smoking last year, the first 3-4months were much harder for him and for me than either of us expected!! It was very intense! Now after 7 months of him being cigarette free, we are celebrating. I really respect the effort people put in to quitting smoking. It is not easy. I thank you Carolynanha for the wonderful support you offer. It was lovely to see narrative ways of working used in this way. Thanks Loretta for your comments. I have finally got around to checking out comments being put up for my dvd and I have just watched yours also. We are in the same kind of work together and hopefully we can make a difference.